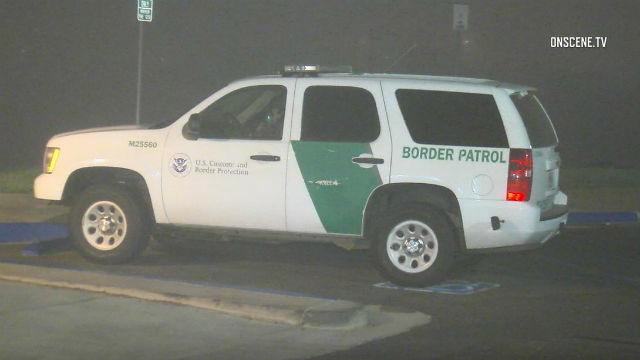 A U.S. Border Patrol agent has been charged in federal court in San Diego with lying about his relationship to two Mexican drug traffickers, authorities said. Agent Ramon Delgado, 44, was arraigned Monday in U.S. District Court in San Diego. According to an indictment, Delgado told interviewers when applying to be a Border Patrol agent that he did not have any close relationships with any foreign nationals. Federal authorities said they later learned that not only did Delgado lie about his relationships with foreign nationals, but that two of the Mexican citizens he was close to were members of a drug trafficking organization. Prosecutors did not disclose the nature of the relationships, and the case remained sealed to the public Tuesday morning. According to federal prosecutors, the indictment unsealed Monday alleges that in October of 2015, Delgado submitted a false response on a standard background investigation required for potential federal agents. When asked about by federal agents about those relationships in July 2016, Delgado allegedly lied again, claiming he did not know the drug traffickers. Prosecutors say the traffickers were part of an organization that smuggled methamphetamine, heroin and cocaine into the U.S. and included both U.S. and Mexican citizens. Delgado allegedly maintained “close and extensive” relationships with two of the Mexican citizens. Scott said integrity is a core value of Border Patrol agents, who “simply cannot be an agent without it.” He said Delgado’s case is an anomaly. “The vast majority of U.S. Border Patrol agents carry out their duties every single day with integrity, vigilance, and honor,” Scott said. Delgado was indicted on a felony charge of making a false statement and faces up to five years in prison if convicted.